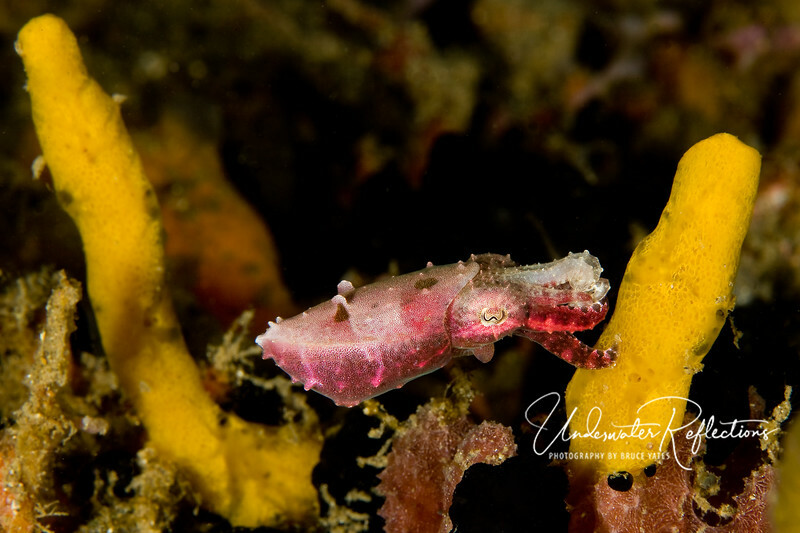 Pygmy cuttlefish (less than 1 inch long) turning an unusual shade of red. Like all octopus and squid, cuttlefish (of all sizes) can almost instantly change the color and texture of their skin. A red color generally means they are annoyed...and who can blame him - none of us like to have our photo taken without our permission!